Facials can work miracles on your skin in so many ways that books could be written on the topic. Books have been written on facials as a matter of fact. Here we shall walk you through how facials can not only give you healthier looking skin, but slow down the aging process as well. Receiving a facial is a wonderful way to rejuvenate and awaken your skin. Throughout the day your skin takes many beatings, ranging from exposure to the sun all the way to moisture from sweat clogging your pores. This can leave the skin not only looking but feeling old, worn, and leathered. During a facial, your face will endure a deep cleansing. This cleansing will remove any dirt, oil, and dead skin allowing the layer of glowing new skin underneath a chance to shine. This new refreshed you will help you look and feel countless years younger as it heals your skin. A steam treatment is another common procedure at most spa centers and health clubs. This benefits your face in a similar fashion that hot tubs and steam rooms have on the rest of the body. Although it will cause perspiration, the warmth that envelopes you is extremely relaxing and gratifying. Steam treatments work by moisturizing the skin and getting rid of any impurities from the body’s largest organ. 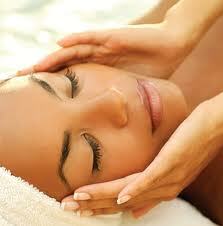 A facial massage by trained hands will help the face to relax and open up your pores, allowing your skin to breathe. This will help prevent acne from forming. Also, just like the rest of your body, the muscles in your face are prone to getting tight and sore. A Tampa massage will help relax these muscles, thus reducing your risk of forming wrinkles and stress lines. These are just a few of the examples of the many things that can be done during a facial therapy treatment. With cleansing removing dirt, steam helping moisten and relax, and a Tampa massage loosening tight muscles, the biggest benefit of a facial is how all these combined together can do wonders for reversing the aging process. A facial means a new you. Depending on how refreshed you wish to feel and the condition of your skin, there are many different varieties of facial treatments available to choose from. Be informed and aware of your options before receiving one to ensure that the facial you receive is fitting for the results you expect. Spring Fever Savings- Our Big Special is Back! The spring is a beautiful time of year and a joyous time to spend quality moments with your friends and loved ones. Every year, brand new precious memories that will be cherished for a lifetime are created by the gift of love. These memories are showcased by the smiles that appear on the faces of those touched by the spirit. Stress has been known to make the strongest among us turn weak. Although it may be part of everyday life, stress can lead to numerous psychological and emotional issues if not properly managed. Depression, low self esteem, anger, and paranoia are a few examples of this on the extreme side of things. Physical damage to the body can include elevated blood pressure, heart palpitations, and chest pain. Need we remind you of what this can do to a person’s soul? We think not. A massage in Tampa is a popular way to accomplish this goal with minimum risk to your overall health. The benefits are endless, and you will feel refreshed and relaxed afterwards. Under the trained hands of a licensed masseuse, all your qualms and worries of the world will melt away. It is medically proven that a massage can increase the flow of blood throughout your body, thus helping stabilize the pressure of the blood in your veins. Not only that, but as those hands apply pressure to your body, any knots or kinks in your muscle tissue will be worked out giving the muscle a better chance at getting toned. With all of these benefits available, it’s amazing that more people are not getting tampa massages every day. So why not show your appreciation for your loved ones by presenting them with a gift certificate for a massage? They will feel gratitude that you took their feelings and health into consideration when choosing a gift for them. And while you’re at, you should get one for yourself. After all, you are an amazing person and most definitely deserve it. Signature Massage has brought back one of their most popular specials of the year!!! They are excited to announce that right now until March 27, 2014 you can purchase a $50 online voucher and receive a $75 credit!!!! Head over to Signaturemassagetampa.com and get yours today!!! The Best Way To Relax: Microdermabrasion and a Tampa massage Maybe? Microdermabrasion is a new skincare technique that uses small tough grains to buff away the surface layer of the skin. It’s similar to a peel but the difference is microdermabrasion doesn’t take off the skin all at once. Instead, it buffs the skin off. There are a lot of benefits that can be gained from the microdermabrasion treatment. The first benefit is that again, it buffs the skin off, slowly but surely unlike a dermabrasion which is a very invasive procedure intending to remove the first to mid layers of the skin. It is also unlike a chemical peel which involves the use of chemicals to slough off the skin. The second benefit is that it is a non-invasive procedure and it doesn’t need chemicals to be performed on anyone therefore resulting in minimal, almost zero side effects. The third benefit is that results are fast and there is barely a recovery period. The skin regenerates quickly with a microdermabrasion and you can see results immediately after the treatment. With chemical peels and dermabrasion, there is a waiting time and you have to shield yourself from the elements like sunlight and dirt causing you to take a leave from work and hide out in your house for a while. Microdermabrasion is a new technique but many people and even celebrities swear by its effectiveness. Of course, after treatment, there will be a slight photosensitivity and you probably have to wear sunscreen to protect your face but you’re probably doing that already anyway, especially if you live in Tampa. If you live in the TampaBay area, there are a lot of spas and wellness centers that offer microdermabrasion along with the signature Tampa massage. If you have the time, turn your microdermabrasion appointment into a spa and relaxation day. Treat yourself and your partner or invite a few friends for a treatment and all of you can each get a Tampa massage. It’s a great way to bond and you will feel rejuvenated afterwards. Also, your skin will look better and healthier. Microdermabrasion is a great way to revive the skin. If you’re looking to relax and feel good afterwards then complete your spa day with a Tampa massage. Physical stress can reduce body performance and can wear out the body through time. Some can be replenished through rest but others seem to stay longer. Massage can help ease the stress and strain that the body muscles have incurred. There are different massage therapies that can surely loosen up the body through relaxing techniques such as the Tampa massage. Tampa prides itself of the relaxing and rejuvenating massage therapies that can restore the body of its usual state. Tampa massage therapies have different types of massage in its arsenal to dispel every situation of pain or uneasiness in the body. The Swedish Massage is the type that eases the tension in tight muscles through various techniques such as tapping, kneading and stroking. Its primary purpose is the rejuvenation of the body through improved circulation of the blood for faster muscular recovery. Another type is the Deep Tissue Massage. It is mostly on sports injuries which treat the deep layers of the muscles. This massage improves blood pressure in order to treat injured muscles by moving away the bodily toxins and stretching tight muscles. The Neuromuscular Massage is services that are mostly offered in spas. This type of therapy utilizes the treatment of sensitive points of the muscles to restore strength and flexibility. The Pregnancy Massage, on the other hand, is a very gentle massage that is primarily for easing the stress in the body caused by pregnancy such as headache, cramps, stiffness and carpal tunnel syndrome. However seductive these massage therapies are, the Hot Stone Therapy is said to be one of the most relaxing of all the massage therapies. This utilizes heated basalt stones to relax the muscles of the body, remove toxins and improve blood circulation. The last one of the tampa massage therapies is the Sports Massage. This is a rather vigorous massage therapy that those of the others because this is mostly used for the recovery of athletes in their sports injuries. This is used to heal scar tissues and improve the elasticity of muscles. These are the different types of tampa massage that are used for different conditions. These different descriptions of massage therapies can help in determining what massage therapy is best for one’s conditions. What are the Benefits of Facial? There is a myriad of people who indulge in facial treatments to pamper themselves because they experience a one of a kind tampa massage. The skin is the largest principal element, which covers the whole external surface of the body. It is the primary site of contact with the environment. It is a barrier that protects the internal tissues from harm, trauma, toxins and bacteria. Generally, the skin plays a vital role in the overall health. That is why it is imperative to take excellent care of the skin. So, facial treatment does not just help people to relax, it is a way of saving the skin from damage. If you do not know how to take care of your skin, eventually it will bite you. The results of damage are evident as the skin will become rough, wrinkled and ugly. One of the signs of skin deterioration is that it loses its glow and elasticity. Cigarette smoking: Research shows that cigarette smoking depletes your body from vitamin C, which is a very important element that keeps your skin moist and healthy. Stress: Stress begets sickness. When you are stressed, you are so problematic and it affects the immune system, thereby affecting your skin. Sun exposure: The radiation from the sun will make your skin dull, leathery and you may develop skin cancer. Alcohol use: It causes the small blood vessels to dilate that may eventually cause permanent damage to the skin because of the increasing supply near the skin’s surface. Exposure to cold weather: Exposure to cold winds can make your skin dry. You cannot deny the fact that you are exposed to the damaging factors; fear not, because there are ways to combat their ill effects. Facials now will come into play. Facial treatment coupled with tampa massage keeps your skin young, soft and healthy. Why? It cleanses your skin: The different aesthetic strokes, facial creams and other remedies remove toxins and dirt you come in contact with. Facial also reduces the overabundance of sebum that makes your skin very oily, not to mention that acne and blackheads it produces. Anti-aging: Facials will keep aging at bay through exfoliation and deep cleansing. Relaxing and rejuvenating. The Signature tampa massage facial treatments improve circulation of blood with the addition of aromatherapy that relaxes your mind and rejuvenates your soul. Facial treatment plays a major role in the lives of the people. It is even a need nowadays because people encounter stress most of the time aside from the damage the pollution causes. Having a beautiful and healthy skin makes you feel great. Happiness emanates from within. If you do not feel good about yourself, then it will show. There are different levels of stress out there and people are affected by stress differently. A soldier, for example, might experience stress like PTSD, where as a stay-at-home mom has her own type of stress to deal with. Regardless of what’s stressing you out and how, these tips will help you cope with the burden. One of the things that you can do when you are feeling anxious is to go to the spa and get a Tampa massage. This will help to reduce the amount of knots that you have in your body so that you can maintain your flexibility and reduce the strain that you feel. A professional massage in Tampa makes a great way to manage and purge your stress. It is very common for people to carry their stress as extremely tight muscles in the neck, jaw, shoulders and back. A skillful Tampa massage can work out knots in your muscles, distract yoru mind from stressful thoughts and leave you feeling much more relaxed overall. One great stress reliever is a massage. If you have a partner or close friend, see if they’re interested in trading massages. If not, pay to have one done professionally. Having the tension worked out of your muscles can have a profound effect on your state of mind and relieve a lot of stress. One thing’s for certain and that is that stress is no picnic. People who deal with stress frequently, know just how difficult it can be to get through the day. Pay close attention and use the tips you’ve just read above, in order to help out with the stress you’re feeling. Learn to prevent it before it starts. Every year, millions of men and women experience the pain and discomfort of arthritis. This condition can make it very hard to function normally and carry out daily tasks. The information in these tips and tricks is sure to offer insight into the nature of this painful and common medical condition. Treat yourself to a massage in Tampa to help your arthritis pain. Seeing a trained massage therapist can help soothe your sore muscles, reduce your swelling and inflammation. You can also see these same benefits at home by massaging the affected areas for just a few minutes a day. Make sure to use oils or creams to make it as gentle as possible. Get a professional Tampa massage. Having a massage done by someone who specializes in arthritis pain can be a delightful treat to any sufferer. These experienced professionals know how to target painful spots and work out tension and pressure that may be hindering your flexibility. If you cannot afford this, have a family member look up techniques and try them out. If you suffer from stiff joints and discomfort, try massaging some castor oil into them. The oil has many benefits, but massaging can double your relief. The act of massaging the joints also helps increase blood flow as well as reducing pain in the area. The castor oil targets the stiffness. Maintaining an active lifestyle is one of the critical elements in keeping your arthritis from getting worse. If it is to hard for you to participate in weight bearing exercises, try doing some water aerobics. As you exercise, the water will aid in supporting you and it will also massage you. Water therapy will help you deal with the discomfort associated with arthritis. Whether you suffer from arthritis or know someone else who does, following the advice in this article will help you to become more well-informed about the condition. These tips are an excellent starting point for anyone who wants to find refuge from the pain and mobility limitations that often accompany arthritis. Going For A Massage? Read This First! Do you often wonder how you could give a great massage? Do you wish to provide your partner with a therapeutic massage? If the answer to any one of the questions is “yes” then you can find help in this article. In this article, we compile some of the top massage tips to help you give a great massage just like a pro. Feeling a little blue? Go get a Tampa massage! The health benefits of a Tampa massage are numerous, and studies have shown that one of the benefits of massage is elevated serotonin. Serotonin is a neurochemical that makes us feel happy, yet lack of sleep, hormone fluctuations, gloomy weather and poor diets can lower your body’s natural serotonin stores. Massages could be therapeutic and it could also be a great way to relax. It helps kids deal with asthma, adults deal with stress and even those with migraines find relief. If you want to enjoy the full effects of a Tampa massage, simply relax and allow your masseuse to work. Did you know you have great self-massage tools around the house? Why not lie on a tennis ball for a sore spot on your back? A rolling pin is great for the bottom of your feet. Walk around your house and you may be surprised by all the great tools you find! Not matter your experience level with massage, you can always stand to improve your technique. This article has given many ideas to help you improve your massage. Apply all that you have learned today for optimal success on your next massage! Back pain is a serious discomfort to so many people, with seemingly little relief to be found. Even the most ergonomic office chairs and automobile seats do not alleviate this nagging condition. Read on to discover some very useful ideas on how to finally get some help for your back pain. Having back pain? Get a Tampa massage. Getting a back massage will ease the sore tensed muscles in your back, and help to relieve the stress of back pain. Having a 30 minute massage either by a professional or a family member can produce long lasting relief from sore back muscles. When it comes to back pain, ice is usually a very effective pain reliever. When applied shortly after an injury occurs or after any activity that causes pain, it can drastically help make recovery that much faster. The best combination is ice application and Tampa massage therapy used at the same time. If you suffer from chronic back pain, getting a simple massage can help to eliminate the pain and muscle cramping. Whether you’re visiting a massage therapist or just relaxing in one of those massaging chairs, receiving a Tampa massage can help to loosen the muscles and subsequently relieve the pain of a back ache. Any phone numbers submitted to Signature Massage by current customers may be added to promotional SMS text messaging at any time.